Four-time Wine Spectator Restaurant Award winner, sommelier Ksenia Karpenko’s love of wine is matched only by her commitment to positivity and adventure. 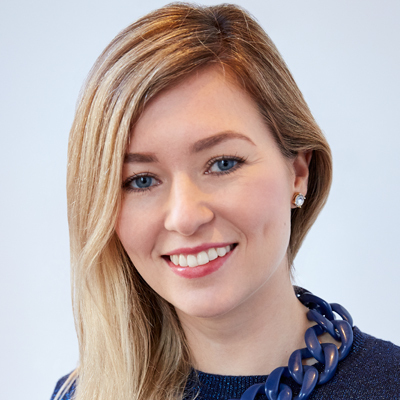 Russian-born and London based, Ksenia consults internationally for leading hotel chains and wine bars, designing their bespoke wine programs. Additional to expert wine consultancy, Ksenia owns her own gourmet jacket potato restaurant in Soho, London: The Potato Project. A true devotee to adventure and adrenaline, Ksenia is a keen extreme sports junkie – embracing surfing, jet-skiing, skydives, and travel with uninhibited zeal. 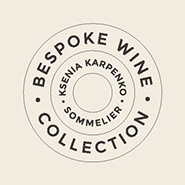 In November 2017, Ksenia’s visionary-thinking lead to her creating online wine curation service BespokeWineCollection.com – a unique concept that enables wine-lovers and collectors alike an opportunity to own a collection of wine bottled on a date unique to them; be it a wedding date, birth date or any milestone date of emotional significance. This lady knows her wine. With less than 3 weeks until the Christmas break, I asked Ksenia if she could help me with last minute gifts for my most valued clients. She suggested individual bottles of wine, each with their own tasting notes and presented in a personalised box. She straight away sent me details of some options for the messages and graphics, and then let me mess around with the designs, until I had something that was right for me. At all times she explained exactly what could, and could not be achieved, responding quickly and clearly to any queries that I had. Once the wine had been selected and the messages agreed, she took over. Everything was taken care of, right through to delivery and I was kept updated at all stages. What could have been a stressful and time-consuming exercise was simple, quick and painless. After delivery, I received messages from all of the recipients, thanking me for the gift and even better, after the Christmas break, several of them took the time to contact me again, to say how much they had enjoyed the superb quality wine that I had given them. Clearly a memorable gift, so money well spent, and stress free as well. I would thoroughly recommend Ksenia's wine gift boxes as an excellent and memorable way of thanking your clients. Thank you so much Ksenia.